The Jumpstart Our Business Start-ups Act of 2012 (the “JOBS”) was passed by a bi-partisan majority in both houses of Congress and signed into law by President Obama. On Oct. 23, 2013 the SEC issued proposed rules, implementing the crowdfunding provisions of Title III of the JOBS Act (the “Proposed Rules”). Here is a summary of the Proposed Rules. The Proposed Rules would make it possible for non-public companies to sell securities to non-accredited investors over the Internet through registered “crowdfunding portals.” Under the Securities Act of 1933 (the “1933 Act”), companies may not sell securities to investors unless the securities are either registered (generally requiring an initial public offering or “IPO”) or exempt from registration. 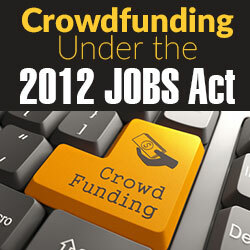 The “crowdfunding” offerings authorized by Congress through the JOBS Act represent a new exemption from registration (now contained at Section 4(a)(6) of the 1933 Act) and the Proposed Rules, if adopted, would make it possible for sales of securities under this new exemption to commence. Section 4A(b)(1) of the 1933 Act requires issuers who make an offering under the Crowdfunding Exemption (a “Crowdfunding Issuer”) to file certain information with the SEC, and to provide such information to investors, potential investors and the Crowdfunding Portal for the offering. The Crowdfunding Issuer, including name, address and entity form. The Crowdfunding Issuer’s directors and officers, including their history with the company, business experience for the past three years and other information. 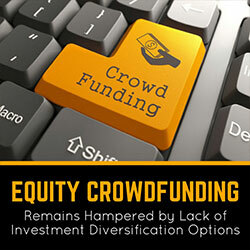 The Crowdfunding Issuer’s 20 percent or greater beneficial equity-holders. A description of the Crowdfunding Issuer’s business and business plan. The Proposed Rules does not prescribe the details of this requirement, but the release accompanying the Proposed Rules (the “Release”) asks for comment on whether it should do so. if the Target Amount is not met, commitments will be cancelled and funds returned. The offering price of the securities being offered and how the price was determined. The Crowdfunding Issuer’s ownership and capital structure, including information about the terms (such as voting rights and transfer restrictions) of the securities being offered and other outstanding securities of the Crowdfunding Issuer. Offerings of $100,000 or less. US GAAP financial statements for the two most recently completed fiscal years or shorter period during which the issuer has been operating, and filed income tax return for the most recently completed fiscal year, if any, in both cases certified true and complete by the issuer’s principal financial officer. Grace periods are provided, and certain personal information may be redacted. Offerings of between $100,000 and $500,000. US GAAP financial statements reviewed (in accordance with AICPA standards) by a public accountant independent of the issuer under Rule 2-01 of Regulation S-X and accompanied by the accountant’s review report. Offerings over $500,000. US GAAP financial statements audited (in accordance with AICPA or PCAOB standards) by an independent auditor, accompanied by the audit report. A Crowdfunding Issuer would also be required to provide a narrative discussion of its financial condition covering, among other things, its historic results of operations and liquidity and capital resources. According to the proposing release, this discussion would be similar to the “management’s discussion and analysis” (or “MD&A”) required in the financial statements mandated for publicly-traded companies, but generally not as lengthy or detailed considering the probable more limited operating history, complexity and scale of Crowdfunding Issuers. A Crowdfunding Issuer would need to file updates to Form C (designated Form C-U) with information on the Crowdfunding Issuer’s progress toward reaching its Target Amount. Disclosure must be amended if a material change or update occurs (designated Form C-A). Each Crowdfunding Issuer would be required to file with the SEC and post to its website an annual report within 120 days of the end of each fiscal year (designated Form C-AR). This annual report would include information similar to the offering statement on Form C, including the financial statement and narrative disclosures meeting the highest standard applicable to any of the issuer’s past offerings pursuant to the Crowdfunding Exemption, but excluding offering-specific information. The issuer becomes a reporting company. All the issuer’s securities sold under Section 4(a)(6) are purchased by a third party or repurchased by the issuer. The issuer liquidates or dissolves its business under state law. The Crowdfunding Issuer would be required to file a notice of termination of its annual reporting obligation on Form C-TR. Under the Proposed Rules, issuers would only be permitted to advertise their offerings pursuant to the Crowdfunding Exemption through a notice containing certain specific limited information (similar to “tombstone ads” under Rule 134 under the 1933 Act). The notice must direct readers to the Crowdfunding Portal for the offering. Potential investors could then access additional information about the offering through the platform. The notice could be in print or distributed electronically, including through social media. Communicate with investors or potential investors on the Crowdfunding Portal, so long as the Crowdfunding Issuer identifies itself as the issuer in such communications. This allows the Crowdfunding Issuer to answer questions or challenge statements made about it during the offering process. Make communications that do not refer to the terms of the offering (for example, the issuer could continue to advertise its products or services). Application of the $1 million per issuer, per year capital raise maximum. Under the proposal, only securities sold under pursuant to the Crowdfunding Exemption (and not any other exemption from registration) would count toward an issuer’s $1 million capital raise maximum. In calculating the limit, an issuer would be required to add together proceeds raised in all issuances pursuant to the Crowdfunding Exemption by the issuer itself, its predecessors and entities it controls or is under common control with. 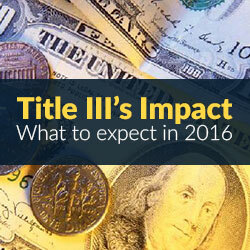 The amount of these issuances cannot exceed $1 million in any rolling 12-month period. Investment limits. 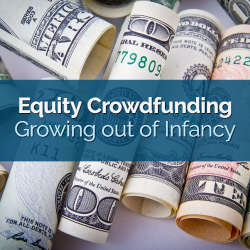 Individual investors with incomes or net worth under $100,000 per year may purchase no more than $2,000 or five percent of their annual income or net worth in securities offered pursuant to a Crowdfunding Exemption. Those with incomes or net worth in excess of $100,000 are limited to purchasing securities worth not more than 10 percent of their annual income or net worth, with an overall cap of $100,000. Income and net worth calculations are based on the same criteria as for determining income and net worth of accredited investors under Regulation D. The Proposed Rules permit Crowdfunding Issuers to rely on the Crowdfunding Portal’s procedures to determine whether an investor has reached the limits (provided that the issuer does not have actual knowledge to the contrary). Left open for further comment and potential rulemaking is whether the $100,000 cap on purchases should apply to investors who qualify as accredited investors or whether a $250 de minimus purchase amount be permitted regardless of income or net worth. In the Release, the SEC stated that offerings pursuant to the Crowdfunding Exemption would not be integrated with any other exempt offerings by the issuer, as long as each such other offering complies with its respective exemption. 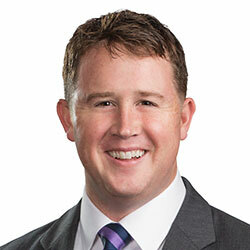 However, if an issuer is conducting a Crowdfunding Exemption offering at the same time as an offering made in reliance on an exemption that does not permit general solicitation (such as a private offering under Rule 506(b)), the issuer would need to be satisfied that investors in the latter offering became interested in the offering through means other than general solicitation permitted pursuant to the Crowdfunding Exemption offering. This requirement could become problematic as it would require the issuer to demonstrate how a non-crowdfunding investor came to know about the exempt offering. 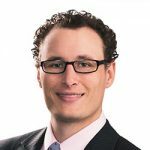 It is difficult to imagine how an issuer could satisfy this requirement, other than through a self-serving certification made by the investor. 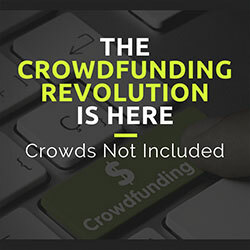 The Proposed Rules include two requirements intended to ensure Crowdfunding Exemption offerings permit public access to information about the offering and information sharing among the “crowd.” The Proposed Rules require that each such offering be conducted using only one Crowdfunding Portal and that all Crowdfunding Exemption offerings be conducted on the internet. Issuers that failed to make required Form C filings in the two years prior to a Crowdfunding Exemption offering. Issuers with no business plan or a business plan to engage in a merger with an unidentified company or companies. Section 302(d) of the JOBS Act requires the SEC to establish a disqualification provision for Crowdfunding Exemption offerings substantially similar to those of Rule 262 of Regulation A. The Proposed Rule would adopt disqualification provisions similar to Rule 506(d), which disqualifies certain issuers from relying on the Regulation D safe harbor from Securities Act registration. The Crowdfunding Issuer, its predecessors and certain affiliates. Any of the Crowdfunding Issuer’s directors, officers, general partners or managing members. Any 20% beneficial owner of the Crowdfunding Issuer (calculated by voting power). Any promoter connected with the Crowdfunding Issuer at the time of sale. Any compensated solicitor for the Crowdfunding Exemption offering. Any director, officer, general partner or managing member of a compensated solicitor for the Crowdfunding Exemption offering. The disqualifying events covered by the Proposed Rules are modeled on those of Rule 262, and include, among other things, certain securities-law related injunctions and restraining orders entered in the last five years and certain regulatory orders entered in the last ten years. Like the Rule 506 disqualification provision, the Proposed Rules would include an exception for disqualifying events that the Crowdfunding Issuer did not know of and, in the exercise of reasonable care, could not have known of. Under the Proposed Rules, if an issuer compensates a person to promote the offering through the Crowdfunding Portal’s communication channels, the Crowdfunding Issuer must take reasonable steps to ensure the compensated promoter identifies itself as such. As required by Section 4A(e) of the 1933 Act (as amended by the JOBS Act), securities purchased in a Crowdfunding Exemption transaction cannot be resold for a period of one year, unless such securities are sold to the issuer, to an accredited investor, as part of a registered offering or to a family member of the purchaser in connection under certain limited circumstances. The Proposed Rules include a safe harbor for issuers that attempt to comply with Section 4(a)(6) but fail to do so. The safe harbor is modeled in part on a similar provision in Rule 508 of Regulation D.
Section 12(g) of the Securities Exchange Act of 1934 (the “1934 Act”) requires an issuer to register a class of equity securities (making the company a reporting company) when its assets and the number of record shareholders of that class of securities exceed certain thresholds. The JOBS Act added Section 12(g)(6) to the Exchange Act, requiring SEC rulemaking to exclude from Section 12(g)’s record holder calculation securities acquired in Crowdfunding Exemption offerings. Proposed Rule 12g-6 would permanently exempt from the record holder count securities issued in a Section 4(a)(6) offering. 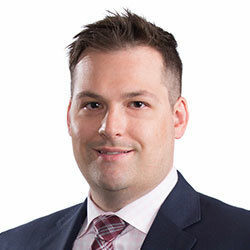 A Crowdfunding Issuer seeking to exclude a person from its record holder count would have the burden of demonstrating that person’s securities were initially issued in a Crowdfunding Exemption offering. In the Release, the SEC expressed continuing concern with respect to the ability of purchasers of Crowdfunding Exemption securities to “fend for themselves”, particularly with respect to areas of enterprise valuation as it relates to securities pricing, the lack of market liquidity for the investment after the initial one-year holding period and exposure to “down-rounds” and other dilutive tactics.